HBR Calendar the perfect gift for the dog lover in your life! 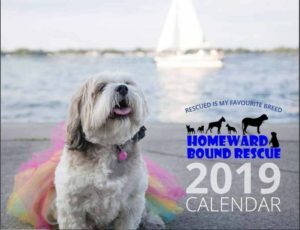 Homeward Bound Rescue has completed top secret work on the Annual Calendar version 2019 and – without spilling too much detail – we can guarantee you it is SPECTACULAR! YOU want them! We have them! Pick up can be arranged in Peterborough, Innisfil, Courtice, Toronto, and Welland. ($5 flat rate for shipping of any number of calendars). 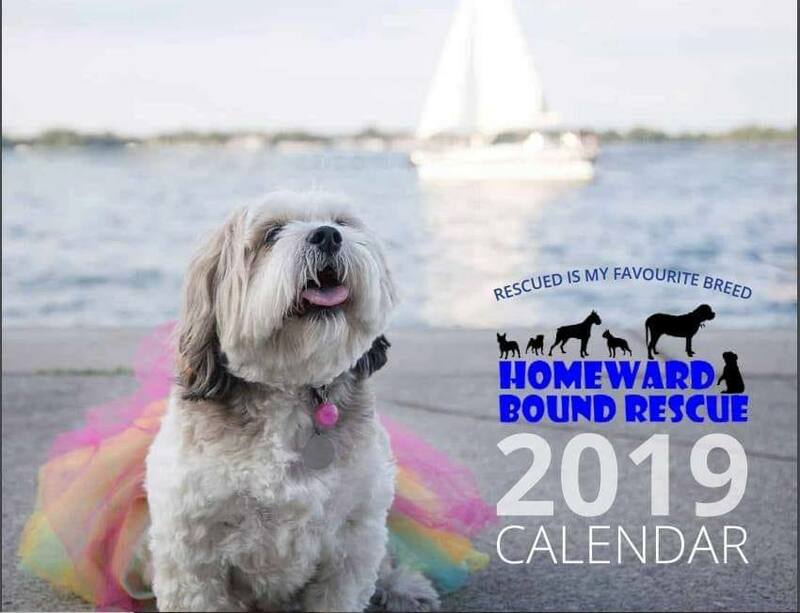 Just e transfer events@homewardboundrescue.ca with a message to say how many you want and either (a) your address for shipping or (b) pick up location and email address. What could be easier??? ALL proceeds go to help support our dogs in foster!